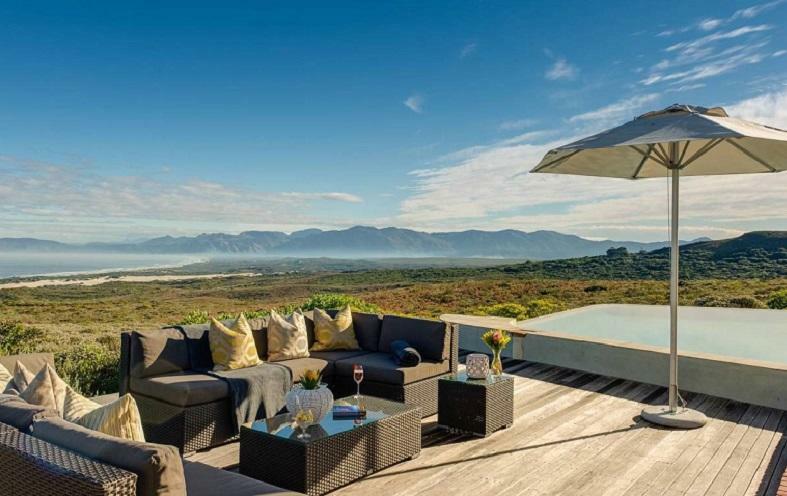 The Grootbos Nature Reserve in South Africa is an award-winning example of how luxury, all-inclusive tourism experiences and sustainability can go hand in hand. But how do they do it? Grootbos Nature Reserve Director Michael Lutzeyer in this interview tells the story and takes us on a tour. How Grootbos encourages sustainability practices internally and across the value chain. Michael, do you remember the first time you heard or thought about conservation linked to tourism in Africa? Who or what triggered your interest in sustainable tourism and development? The commitment to conservation started with the purchase of the Grootbos property in 1991. Since the purchase, the property is committed to rehabilitating a pristine indigenous fynbos nature reserve. All invasive plant species were cleared and over the last 20 years, the botanical species on Grootbos property have been carefully catalogued in an extensive herbarium with a total of 800 fynbos species documented. More than 1,000 species were found in the region and even six new ones to science! With the dedication to conservation as a core ethos of Grootbos, it was a natural progression for this passion to be included in the management and operations of the tourism business. Over the years, this commitment has been formalised with the formation of the Grootbos Foundation in 2003, and compiling our sustainability data into a sustainability dashboard over the last three years. Grootbos’ commitment to sustainable tourism practices is integral to its identity – and at the heart of its DNA. The Grootbos Nature Reserve combines luxury and all-inclusive experiences with sustainability. Does offering “all-inclusive” hospitality make engaging with sustainability easier or harder? Luxury isn’t associated with sustainability. But with a dedicated team and a commitment to sustainability at the heart of the operation, it is simply a part of what Grootbos is about. 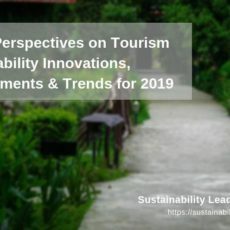 The growing awareness and interest among luxury category guests regarding the sustainability of the destinations they are staying in does make sustainability practices easier to implement – so long as those don’t mean a compromise on guests’ comfort. 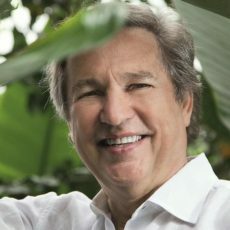 In your experience, what do hotels committed to sustainability have to offer as USP, which makes them interesting for the luxury travel market? And do you find it easy to meet guest expectations? Grootbos’s solutions and operational commitment to sustainability do differentiate it from many luxury travel destinations. They also prove that sustainability and luxury are not mutually exclusive. At Grootbos, we prefer to use the term “progressive tourism”. It encompasses all elements of responsible tourism but implies a dynamic driving force behind it. Progressive tourism is entrenched in our DNA. Increasingly, luxury guests expect tourism destinations to be sustainability minded. When guests hear about our foundation and sustainability initiatives, they are inspired and excited about how much can be done. How do you determine the success of the CSR and sustainability initiatives implemented under your leadership? Corporate social responsibility and sustainability are an ongoing commitment and require ongoing efforts, solutions and measurement. Targets are set out each year in our 4C (Community, Commerce, Culture and Conservation) Long Run document and we work to reach these each year. We have been successful in collating our carbon footprint measurements and practices into a sustainability dashboard based on the international Greenhouse Gas Protocol standards, and have data dating back over the last three years. With ongoing measurement there is a greater ability to make informed decisions. 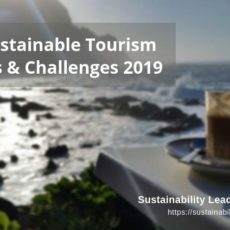 In your opinion, which sustainability topics and issues will occupy tourism professionals in the next five years? Which are the priorities in terms of a more sustainable tourism development, for instance in Africa? Within the next five years, we hope sustainable tourism will be an industry norm and accepted as essential. The ideal is for the industry to work towards incorporating sustainability holistically into tourism operations and incorporating community, culture and conservation considerations at every level. A priority globally will be to address overtourism and the impact and pressure this has on tourist attractions. A priority in Africa will be greater community inclusion in tourism operations and to address the urgency of greater conservation efforts. Can you tell us more about the role of the Grootbos Foundation? The Grootbos Foundation was established in 2003 as a separate legal entity and is responsible for community, conservation and culture. Its work now reaches more than 10,000 beneficiaries each year through the community, sport and education programmes. The conservation work under the foundation not only works to conserve the 2,800 hectares of Grootbos, but also collaborates with 25 surrounding landowners to protect over 16,000 hectares within the Walker Bay Fynbos Conservancy. As a multi award-winning tourism venture, which of the many sustainability initiatives at the reserve and the hotel do you consider the most impactful, and how could other destinations or tourism businesses benefit from them? The most impactful initiative would be the ongoing conservation work both on the property, within the Walker Bay Fynbos Conservancy and the vision of extending the work to the greater Agulhas region. We are working on an Agulhas green corridor initiative, which would link the 2,800 hectares of Grootbos with other committed properties to form a “green corridor”, totaling over 55,000 hectares. This initiative stands to benefit the whole region and the various tourism destinations along this corridor. Insufficient funding seems to be a challenge almost every sustainability-focused business or destination in tourism faces. Do you have tips how to make well-intended projects work out financially, in the mid-term? Project sustainability needs to be assessed and planned prior to making a commitment. Strict financial management, a committed source of funding and passionate resources are key to the success of well-intended projects. What are your 3 bits of advice to hoteliers eager to implement sustainability practices and how to get started? It’s important to monitor the operational impact and gain an understanding of the current sustainability position of the operation. This is an important starting point. From here, attainable targets can be set each year and broken down into achievable milestones. Sustainability is not a destination but an ongoing commitment. More about the Grootbos Foundation here and the Nature Reserve story here. 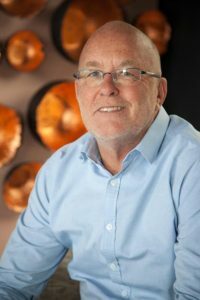 Enjoyed our interview with Michael Lutzeyer on how Grootbos Nature Reserve combines luxury, all-inclusive experiences with sustainability? Spread the word!